“Axis Mundi” é o disco de estreia do sexteto liderado pelo vibrafonista Rui Filipe Freitas. Composto por sete temas dos quais seis são composições originais do líder, “Axis Mundi” surge como pretexto para uma jornada jazzística feita de sobriedade e êxtase e que tem como fim último a partilha do imaginário musical destes músicos. 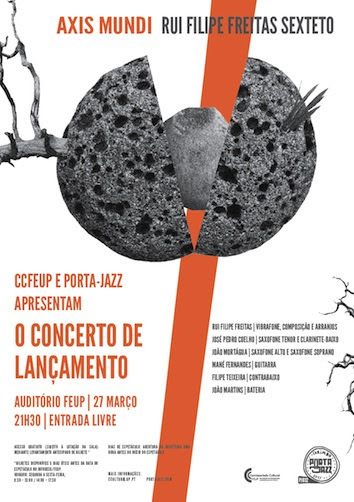 O Ciclo "FEUP Lança Porta-Jazz" trata-se da parceria entre a Associação e o Comissariado Cultural da FEUP, e reúne os mais recentes projetos editados pelo Carimbo Porta-Jazz numa série de concertos de lançamento dos novos discos. 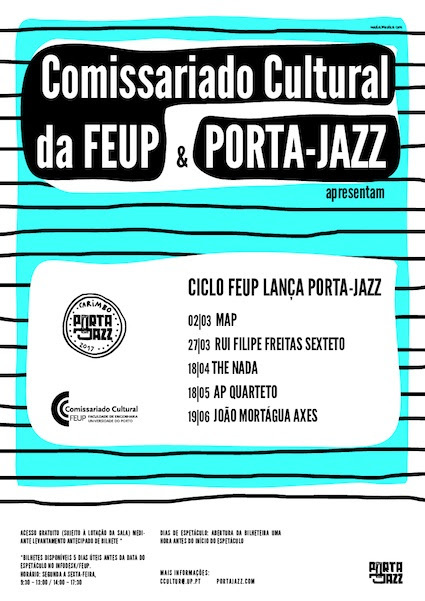 Todos os concertos decorrem no auditório da FEUP e são de entrada livre. 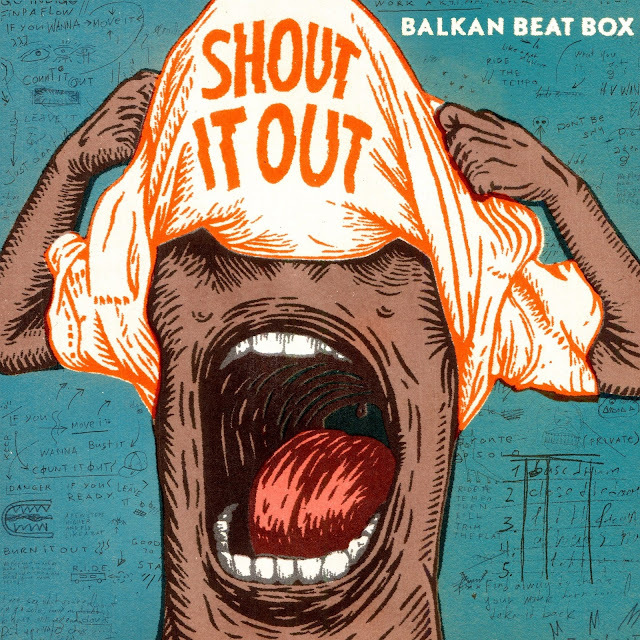 Balkan Beat Box llega esta semana a los escenarios españoles con su sorprendente nuevo disco Shout it Out. 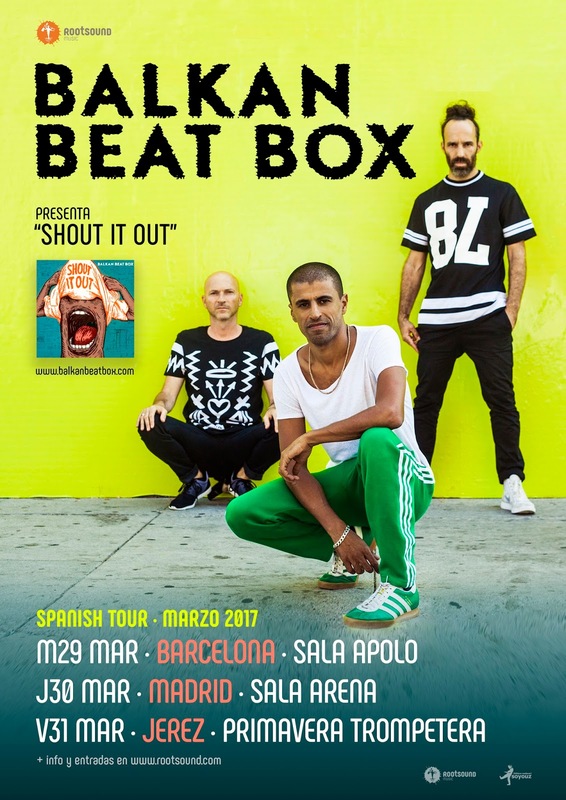 Los líderes mundiales del movimiento “Balkan Beat” vuelven a nuestra tierra presentando su nuevo trabajo “Shout It Out”. Tras agotar todas las entradas en su último tour, la banda americana - israelí actuará esta semana en la Sala Apolo de Barcelona el miércoles 29 de Marzo, el jueves 30 de Marzo lo harán en Madrid en la Sala Arena y el viernes 31 de Marzo en el festival Primavera Trompetera de Jerez de la Frontera. Ha llovido mucho desde que en 2005 con su primer y homónimo LP, Balkan Beat Box diera un golpe de estado a los patrones de la música tradicional y a las nuevas tendencias, creando un nuevo estilo, que sorprendía tanto a críticos como a público de todo el planeta, desconformes ante lo que sucedía en el mundo sus letras siempre han estado llenas de mensajes de protesta, de gritos de paz y unidad. Nunca se encasillaron en ningún estilo musical porque los creadores de esta original amalgama musical son tan diferentes como la procedencia de sus componentes; Tomer Yosef (voz, percusión, samplers), Ori Kaplan (saxo) y Tamir Muskat (batería, programación); y tan versátiles como la propia exploración que realizan disco a disco, en las músicas de raíz, la música electronica y urbana. Ahora, tras cuatro años de la publicación de “Give”, llega el esperado regreso discográfico de Balkan Beat Box, “Shout It Out”, el cual está siendo muy bien recibido por toda su parroquia de seguidores, nuevamente rompiendo cliches. Temas como “I Trusted U” o “Chin Chin” ya superan el millón de reproducciones. 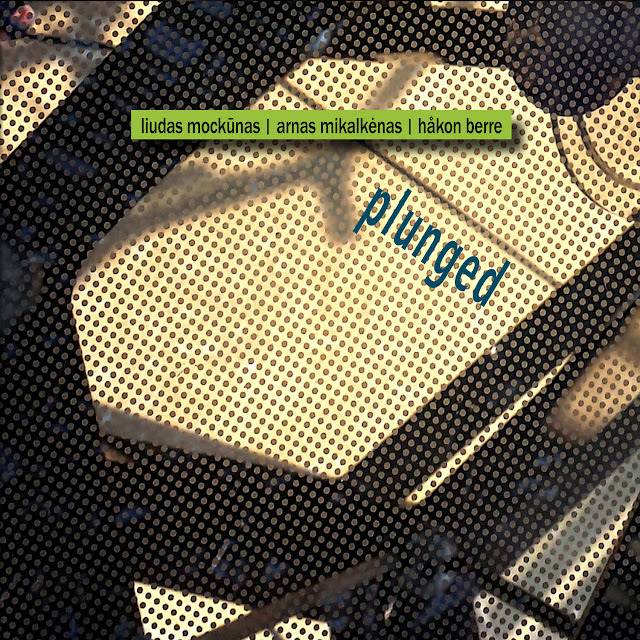 Renowned Lithuanian saxophonist Liudas Mockūnas put in 2014 together a new trio that connects the Norwegian/Danish and Lithuanian modern jazz scene. 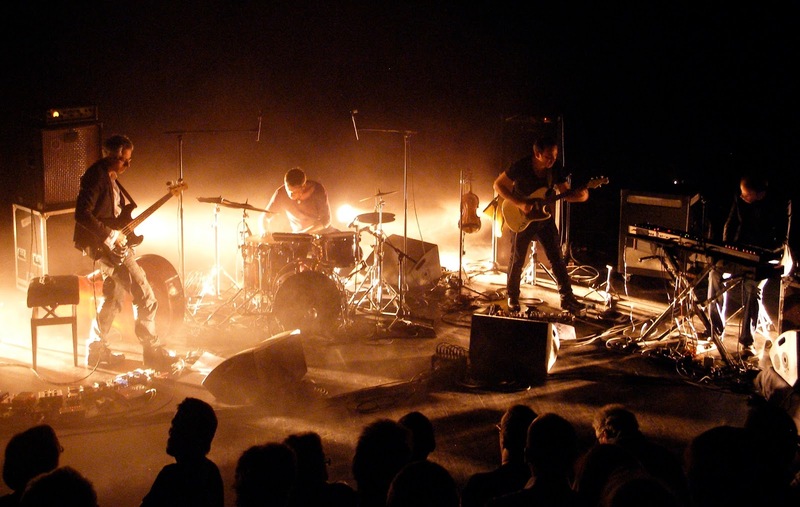 Mockūnas has for many years been one of the most important avant­garde musicians from the Baltic region, with a wide range of collaborations across Europe. On piano and accordion, we have Arnas Mikalkėnas who is one of the most promising improvisers from the younger generations of musicians from Lithuania. 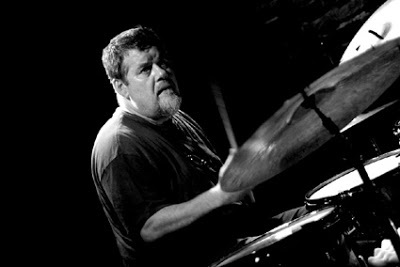 The last member of the trio is Norwegian drummer Håkon Berre, who has been residing in Denmark during the last 15 years and has worked with Mockūnas in several contexts such as the noise trio Angel, and with the free jazz trio Peter Friis Nielsen Kalas. 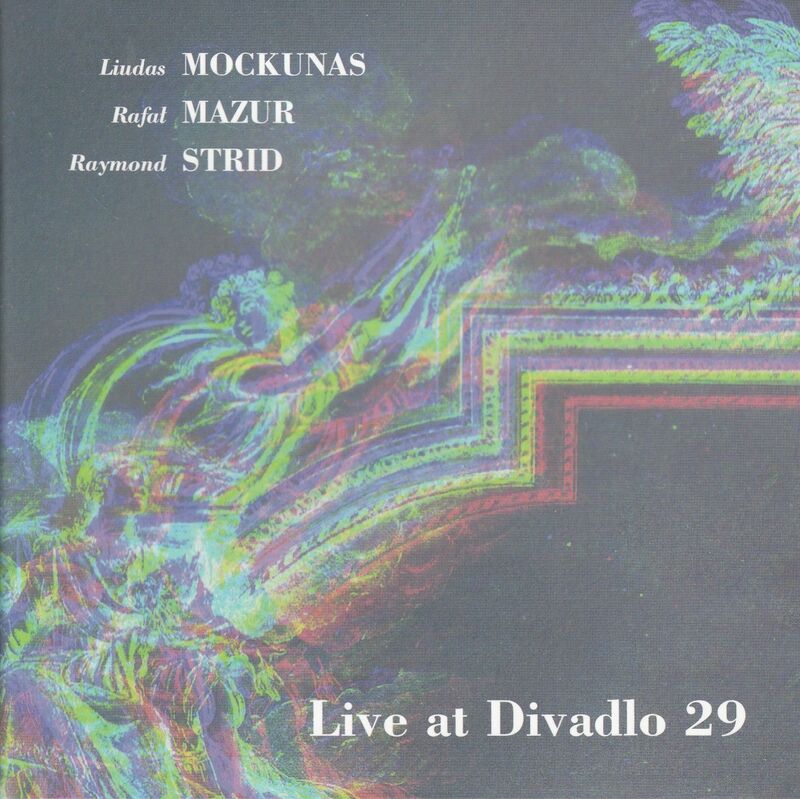 The trio focuses on original material written by both Mockūnas, Mikalkėnas and Berre, and can be characterized as modern chamber jazz with inspiration from contemporary classical music and free jazz. 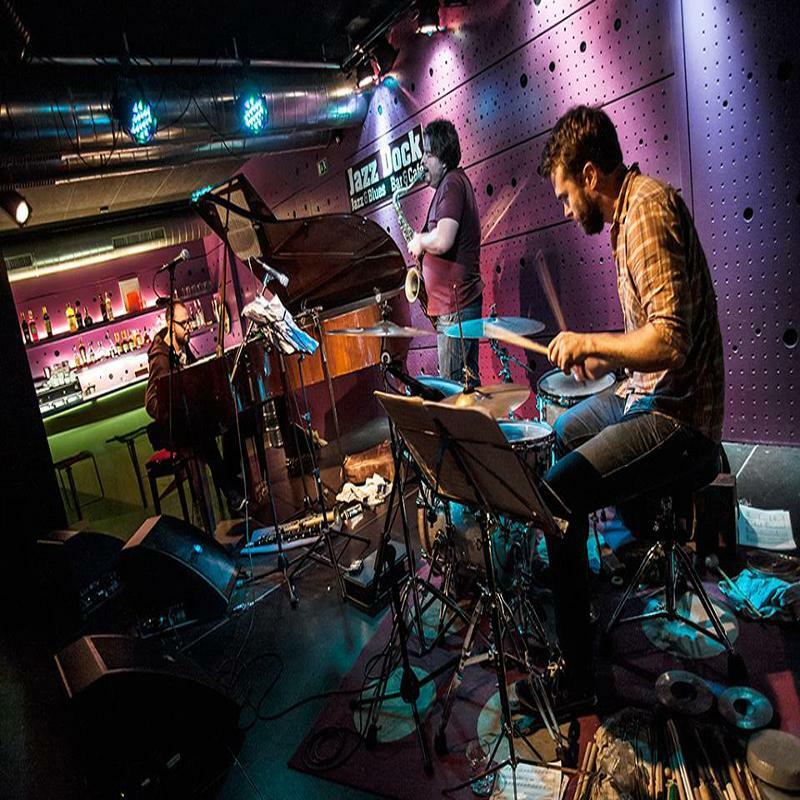 The compositions have a transparent structure where the rhythmic and melodic templates provide a starting point for a very open kind of improvisation. 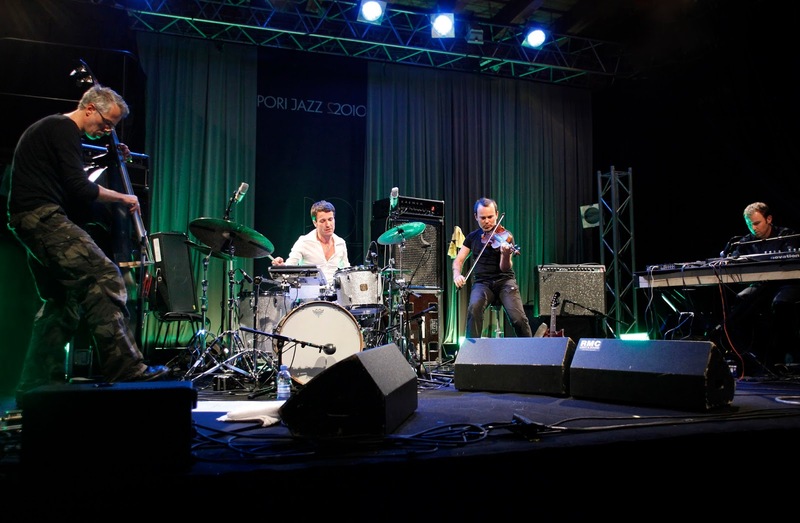 In October 2014 the trio played a 2­ week tour with concerts in Lithuania, Estonia, Norway and the Czech Republic. The tour included a festival concert at Vilnius Jazz Festival, which was recorded digitally by Lithuanian state radio. The recording resulted in the CD “Plunged”; an honest and accurate documentation of the trio’s work. 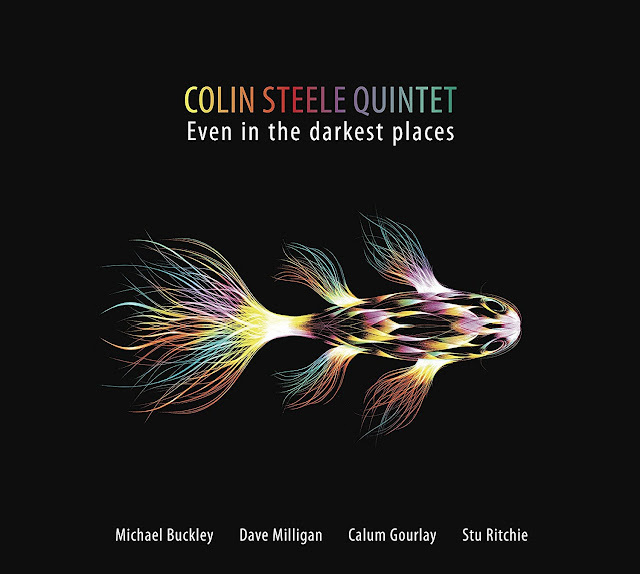 Even in the Darkest Places heralds a welcome return for trumpeter Colin Steele, who was once described as the Sibelius of Scotland, and his band - Michael Buckley (saxophone), Dave Milligan (piano), Calum Gourlay (bass) and Stu Ritchie (drums). Since the Quintet's last release, Through the Waves (2005), the trumpeter has been through some turbulent times and the story surrounding Even in the Darkest Places is one of determination on Steele's part and the generosity and kindness of strangers on the other. When, in 2011, Colin Steele took the decision to improve his playing technique he could not have foreseen the events to come. Not only did he feel that his range was limited but every time he played, his mouth would get badly cut and was taking longer each time to heal, so he sought the guidance of a highly recommended American trumpeter. The decision proved disastrous as he was persuaded to completely change his trumpet technique and over the following months his muscles became increasingly confused, his throat muscles eventually going into spasm rendering him incapable of playing at all. 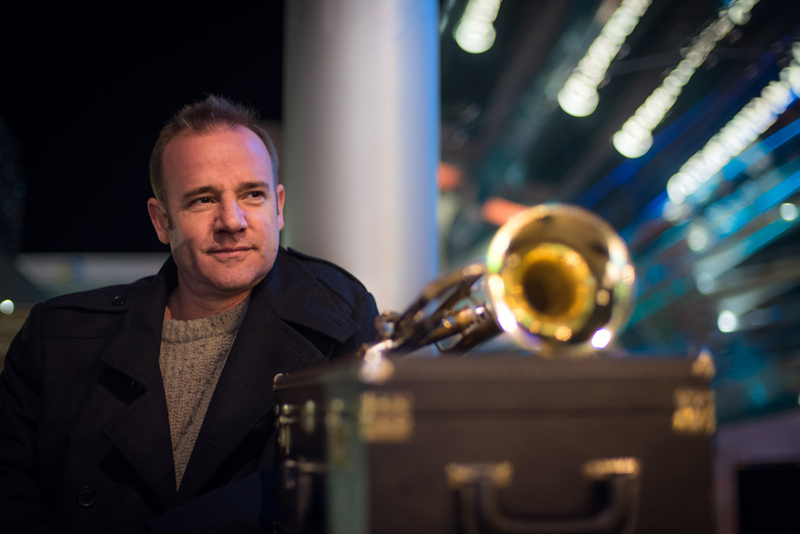 With his livelihood in the balance he was eventually introduced to Mark O'Keefe, principal trumpet player with the BBC Scottish Symphony Orchestra. Not only did O'Keefe offer his services for free, he also saved Steele's career. When Steele was able to begin playing again, he found himself with very little work - he'd had to cancel all his gigs, as he was literally unable to play - plus he had also accrued a fair amount of debt.  Recording a new album was out of the question and had it not been for a fortuitous gig in a pizza restaurant, Even in the Darkest Places would never have seen the light of day. Steele happened to be playing in the restaurant when a fan came up and asked why he hadn't released an album for a while. They got talking and when Steele told him of his recent troubles he offered to help by financing a new recording. The track Robin's Song is dedicated to this incredible act of generosity and is something that Steele will be forever thankful for. 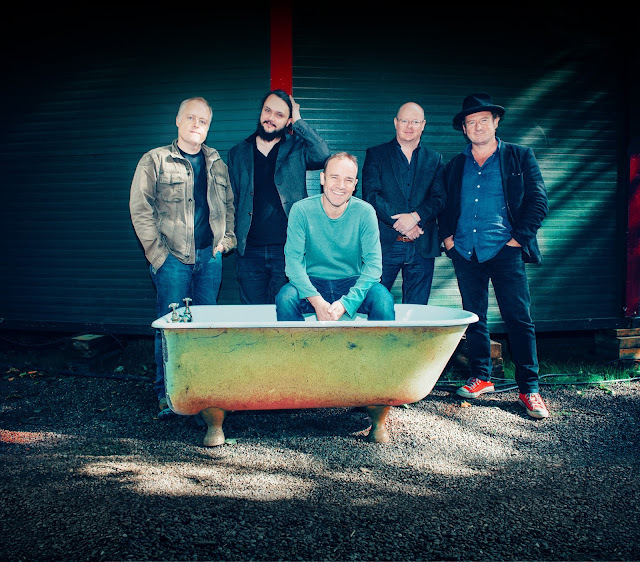 There are Angels, dedicated to all those who helped Steele through his darkest hours and finally, Independence Song, which initially began as a mournful ballad but which morphed into something altogether more uplifting, reflecting the joy and optimism that surrounded the Scottish Independence debate. We discover the desire to affirm the alternative characteristics of the music band by assuming even more the 'art rock' dimension.The tandem Chevillon - Echampard ( two essential representatives of the Jazz and Alternative world for 2 decades) and Sighicelli- De La Fuente( today's pillars of the world of contemporary and experimental music) have perfectly integrated the elements from contemporary or electroacoustic music, thinking about the music pieces as sonorous worlds, while keeping in the game the rage and the spontaneity coming from Rock. If this record globally evolves in dense and dark tones, there sometimes appear light flashes, exciting then peaceful white moments. 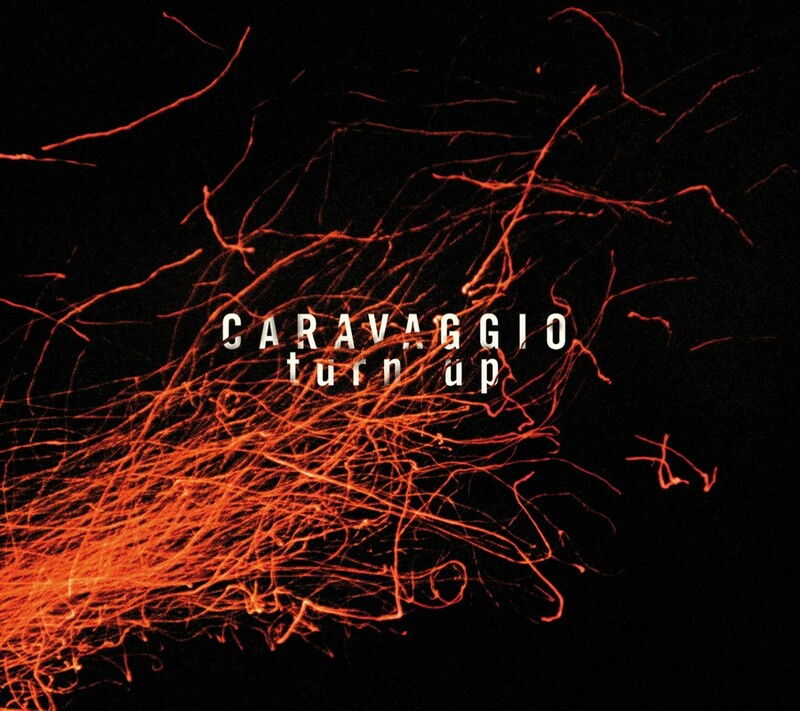 This play on contrasts remains perhaps the point of unity of all Caravaggio's music. This new repertoire on stage is an intense experience. Recorded at Studios La Buissonne in July and November 2015 by Gérard de Haro and Nicolas Baillard. 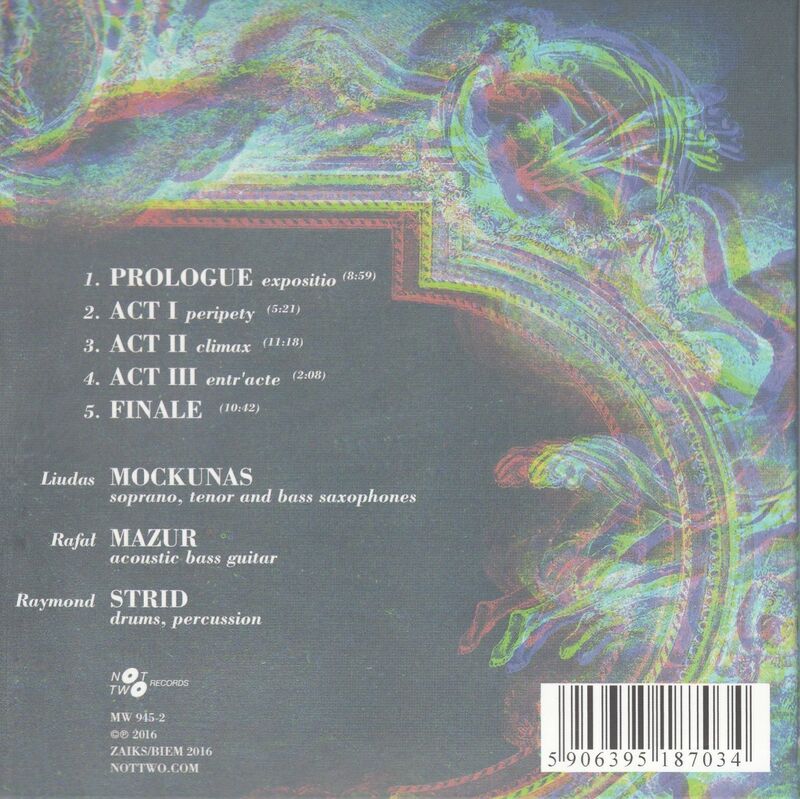 ENCERcléS recorded by Jean-Baptiste Deucher (Studio Acousti, Paris). Edited by Benjamin de la Fuente and Samuel Sighicelli. Mixed in May 2016 by Gérard de Haro, Nicolas Baillard, Benjamin de la Fuente, Samuel Sighicelli. Mastered at Galaxy by Marwan Danoun. Cover and liner photos Mat Jacob. 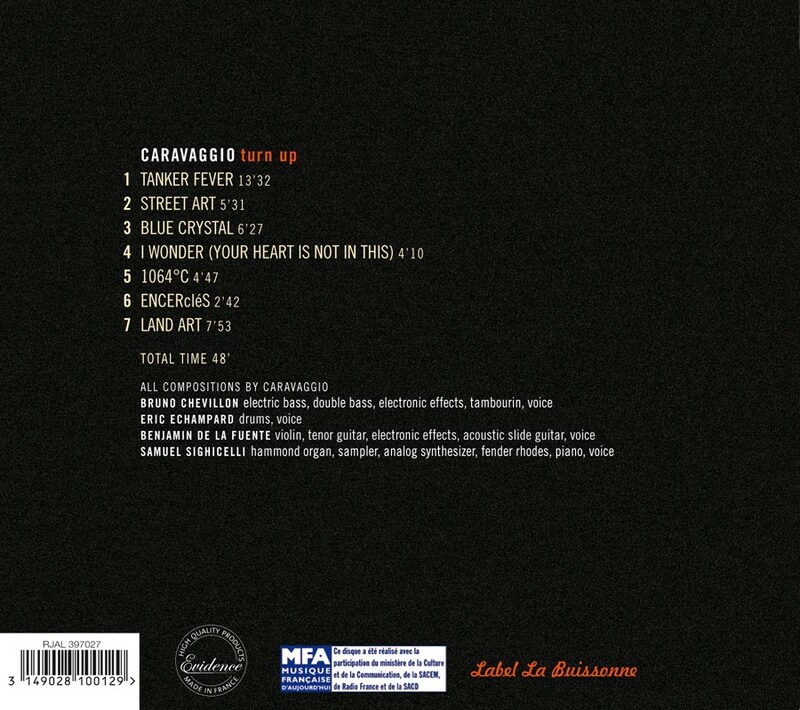 Produced by Gérard de Haro and RJAL for La Buissonne and Sphota.